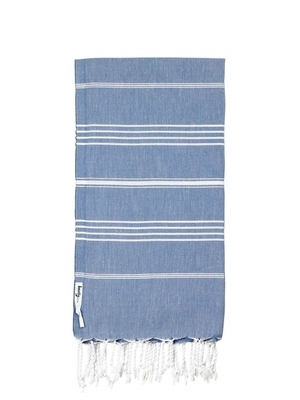 100% Original Turkish Cotton towels with knotted fringes. 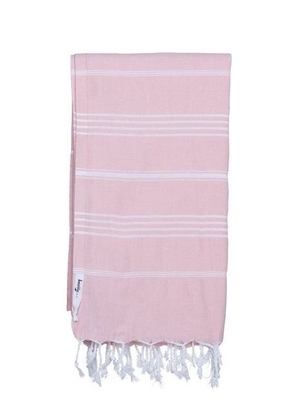 They are a generous size 100cm x 180cm and lightweight at 275gm. 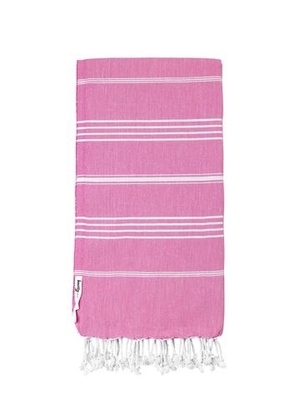 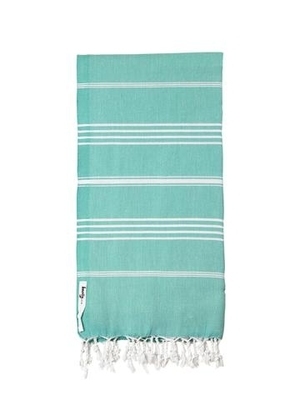 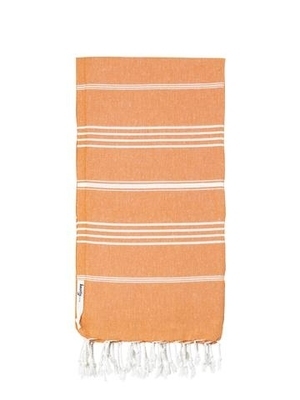 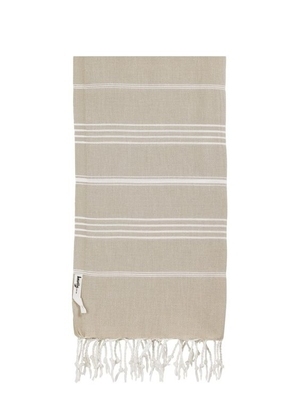 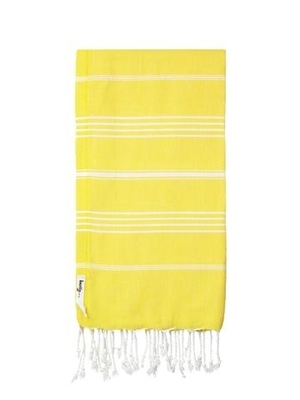 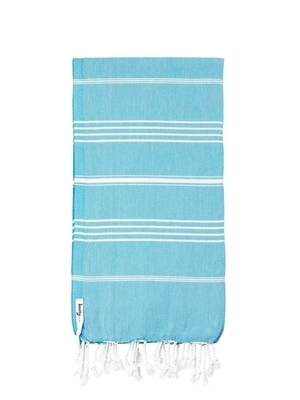 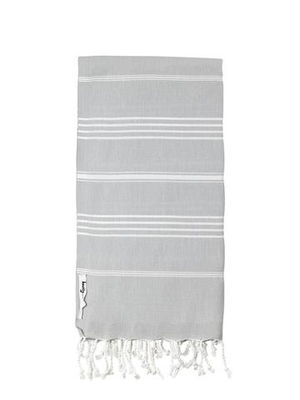 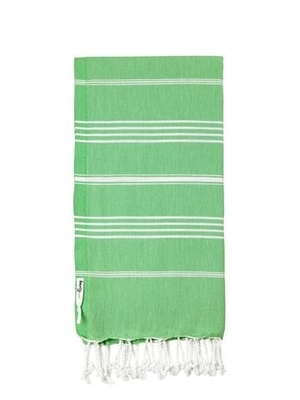 Turkish towels make the perfect beach towel or summer accessory for our Australian Summer and a versatile gift idea. 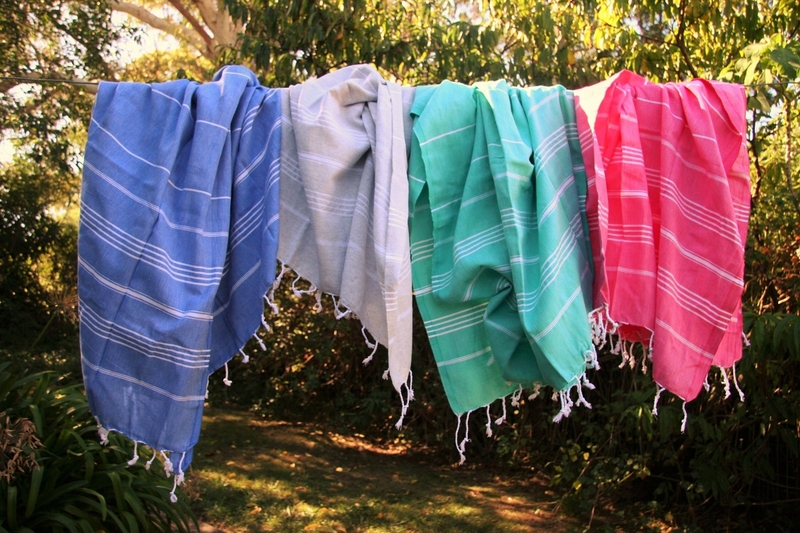 Ideal for the beach, by the pool, on a picnic, great at the gym and the perfect travel companion these multipurpose towels appeal to all ages.